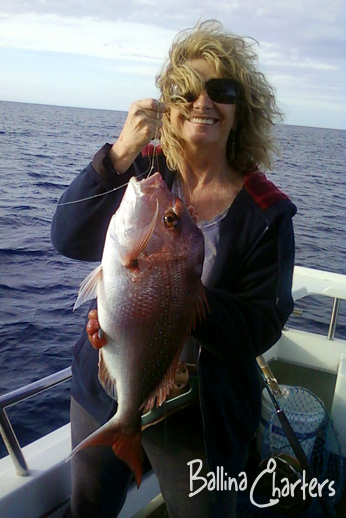 With over 30 years of deep sea fishing off Ballina NSW, we've got plenty of marks, and a wealth of experience to make sure you take home a feed. 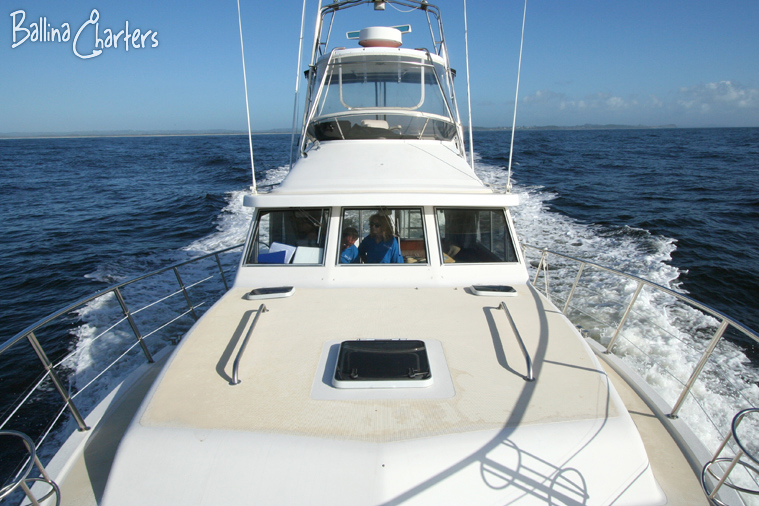 When the whales are putting on a show, Ballina Charters will get you as close to the action as we can, whilst still giving these gentle giants space. 1-15 passengers. Includes tea, coffee and softdrink. BYO lunch and don't forget your cameras! 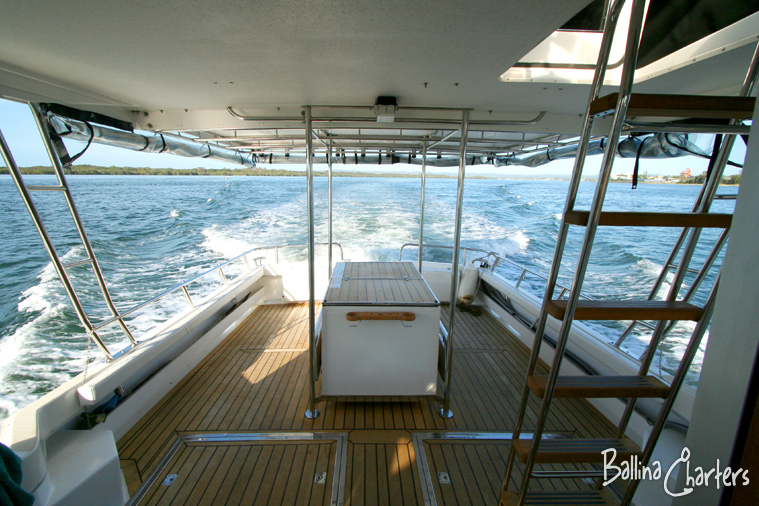 There's just nothing like cruising along the beautiful Richmond River. 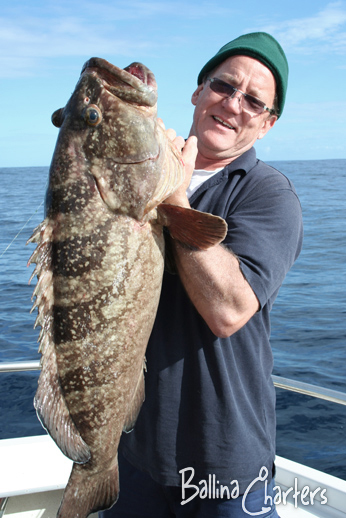 Chuck in a line, or just take it easy with some tunes, a beer and a feed of prawns. Ahhhh. 1-15 passengers. Includes tea, coffee and softdrink. If you're thinking about more of an event with alcohol and catering. Please contact us for a tailored quote. 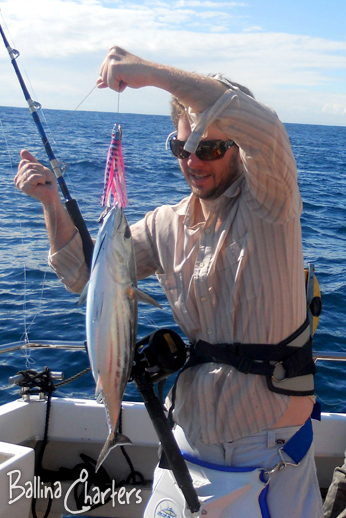 Don't worry, we take care of all of the gear needed for the day out on the ocean. Tea and coffee are provided. Unfortunately we are a dry boat while at sea. Once safely back across the bar, you can crack one open. 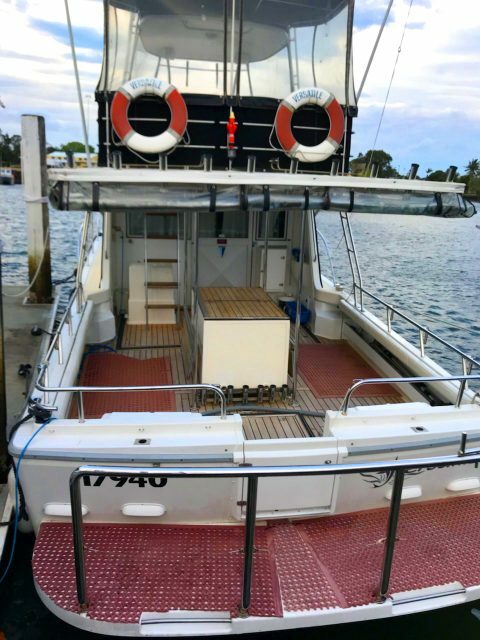 This is a fully survey compliant vessel, with a license to carry 12 passengers. All life-jackets and rafts are in great condition and checked regularly. What a great trip out this was. 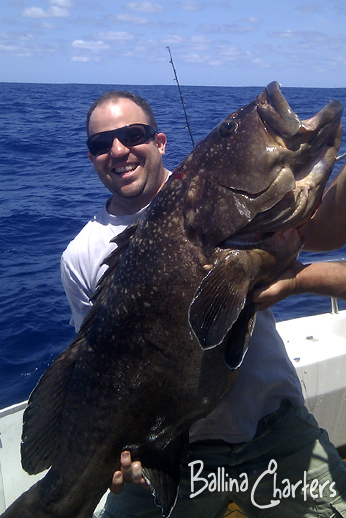 Dave took my team and I out for the day fishing and we weren't disappointed. 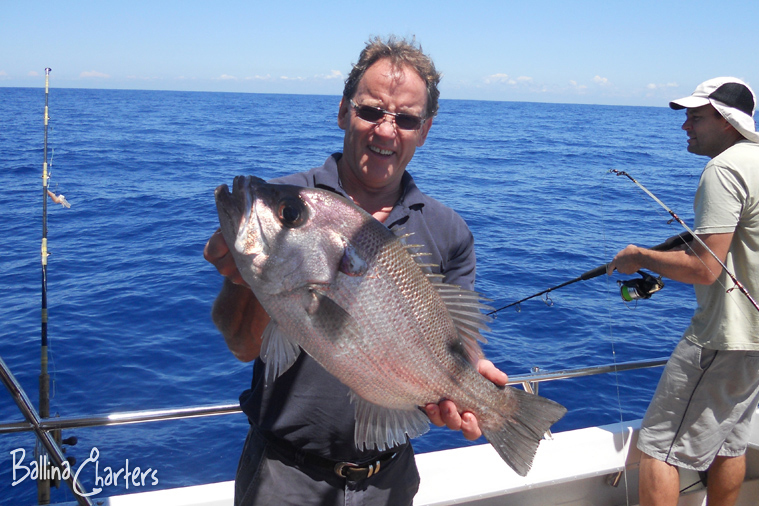 We all caught a few decent snappers and some nice pearlies too. Will book again when we're back in town for sure. We came whale watching as part of my birthday celebrations. 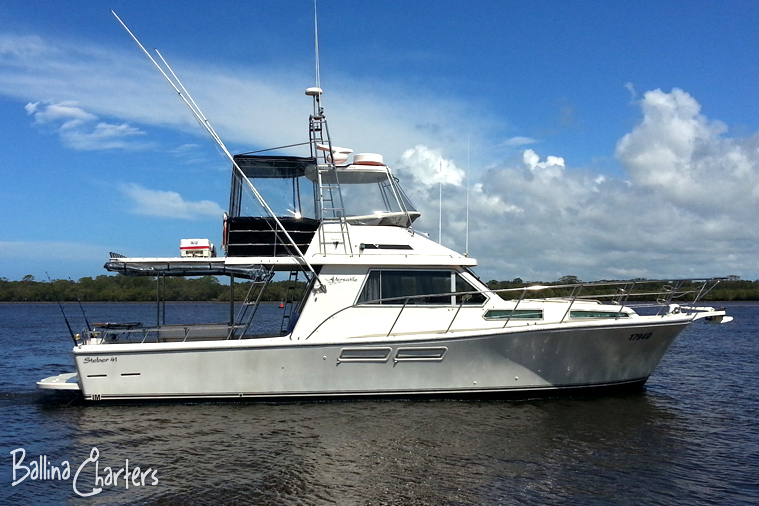 It was a very pleasant day on the water with the Ballina Charters crew. The humpbacks put on a show for us as we watched from a respectable distance. Thank you for a lovely experience. WANT TO KNOW MORE ABOUT WHAT WE DO? GET IN TOUCH WITH US NOW! 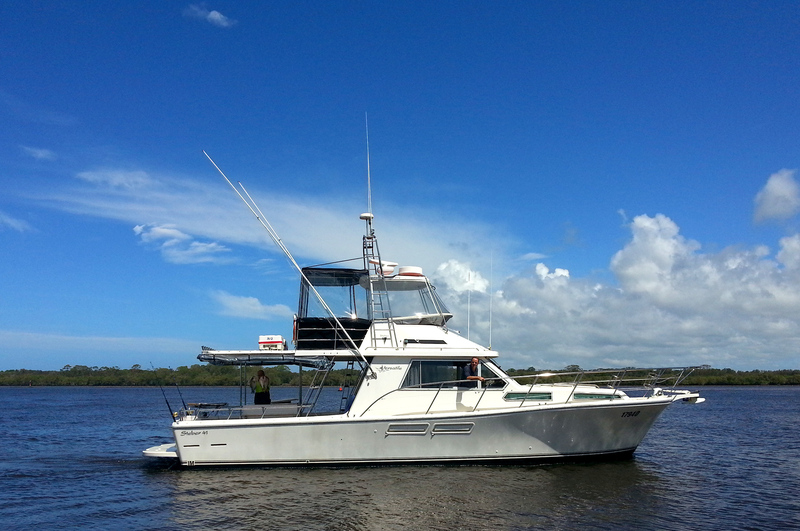 “If the sea is flat, we’re heading east” is the Ballina Charters mantra. 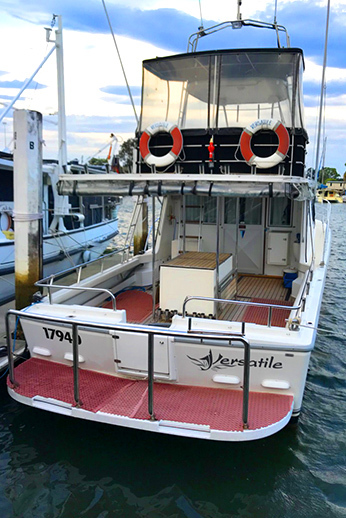 And when the bar behaves itself, weather permitting, we take the Versatile out across to try our luck on the many marks we’ve acquired over the years of fishing the Ballina, Byron Bay and Lennox Head area. In addition to the fishing, we often get treated to pods of dolphins riding the bow wave. 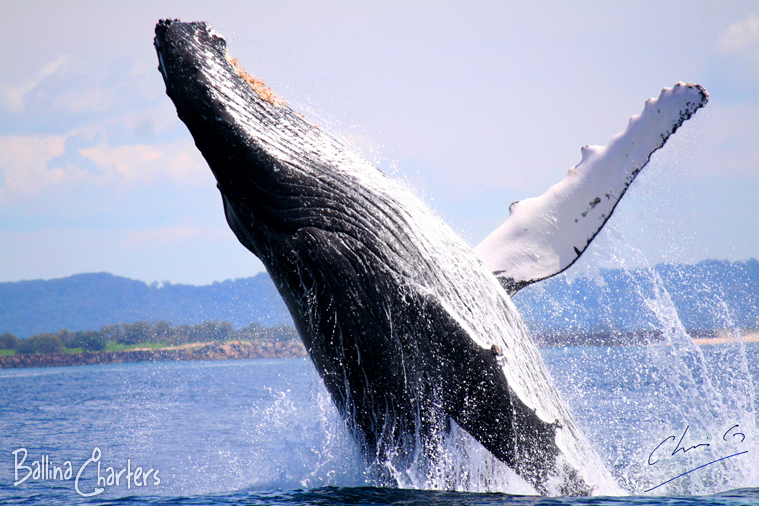 Or get to experience the majestic humpbacks on the migrations up and down the coast.